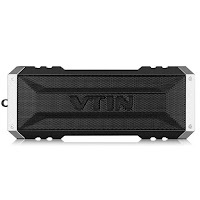 One of the very few 20 Watts speakers out there in Amazon, how much closer to the best sounding speaker? 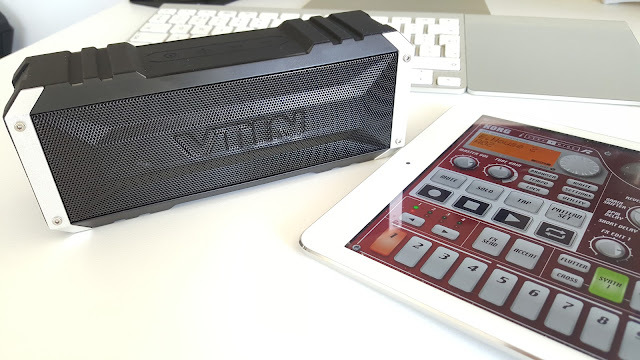 The problem is best sounding speaker(s) is not for outdoor use or waterproof. That’s the compromise. 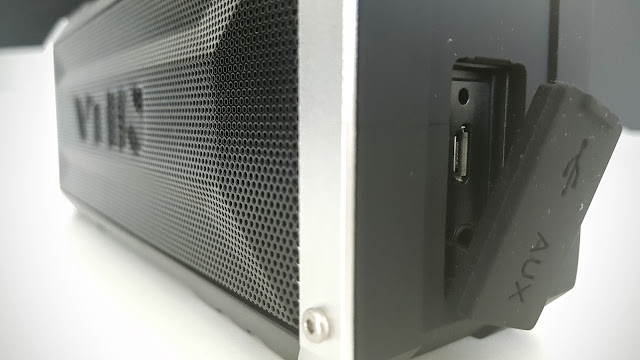 Note to bass lovers / heads: 2 passive radiators (or passive drivers) packed into such a small speaker, part of the frequencies under 100Hz translates into cabin vibration - you can feel it while holding in hand. I think the bass goes down to 75Hz or so and it’s really tight and fast. Comes pre-charged, pairing up takes just less than 30 seconds or so - put Beyonce - Lemonade full album for a spin. I’ve heard this recently on many different systems, so easy to compare the aspects. All the richness, sheer power, emotions and vocal colour coupled with the modern instruments and techniques used in the album can put any speakers to real test. 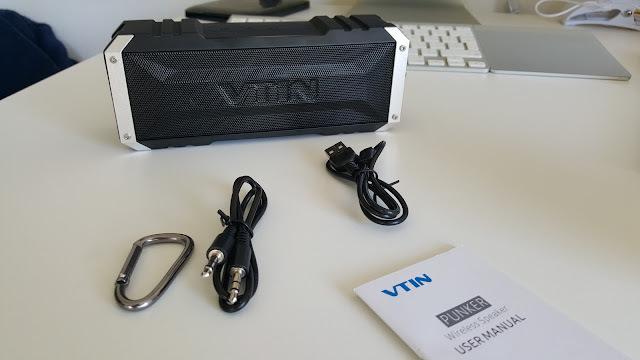 VTin speakers held up very well with good reproduction through out. Natural, yet open without being tinny or metallic. There is a sense of feeling that something is missing, but that’s surely because of the size and metallic grills - in my opinion. Moved on to some incredible remixes of Flawless - you will get that sense of bass even in lower levels and goes all the way up without any distortion. But the limitation of cabin shows off when you go higher levels. 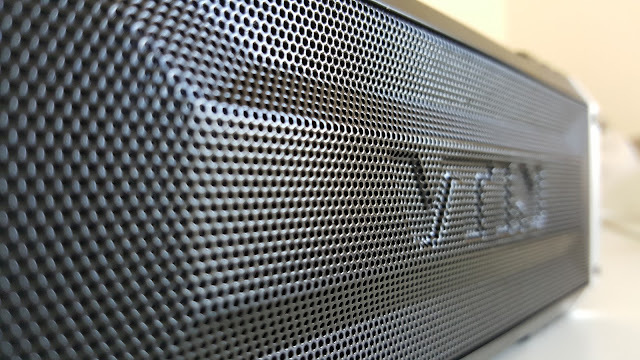 Bass always shines through when you have more room inside the speakers to design with. Passive subwoofer drivers, translates some of the frequency range to non-audible cabin vibration, that you can feel it. Again came back with some classical music to see how it performs. Played some of the George Gershwin’s etudes and Beethoven Tempest sonata. Once again some great performances there, with rich, open and warm sonic signature. Back to technology, a self contained tiny speaker almost the size of a 500ml water bottle. Comes with Bluetooth and handsfree connectivity. 4400mah battery gives you plenty of juice for several hours of playing. 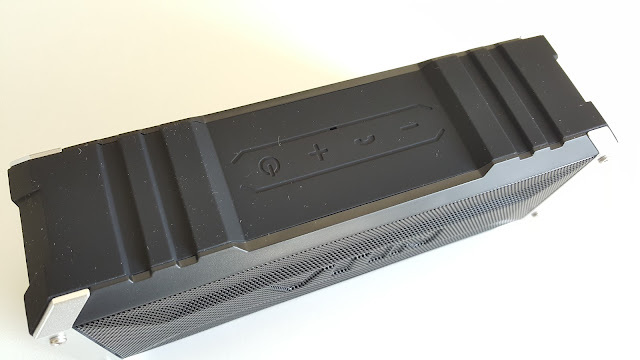 Bass reflex / passive radiators gives you bit of extra bass that you seek. 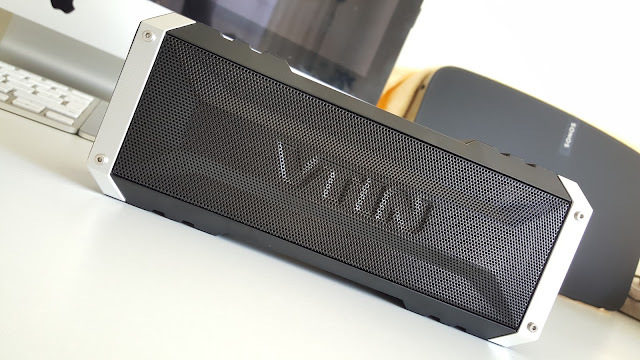 Making a speaker waterproof means an addition of metal grills with tiny holes, somewhat limits the openness, but VTin does an amazing job considering all these factors. 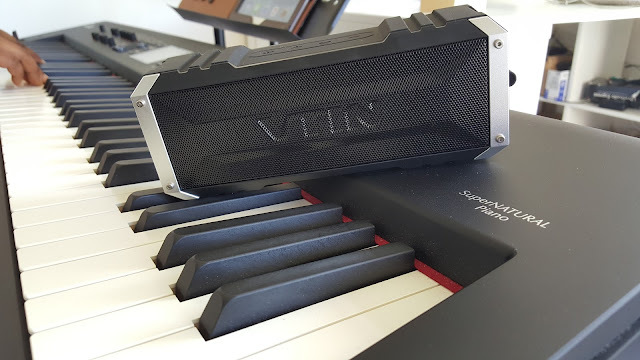 Overall great speakers with a wonderful look and finish, rugged / military styled and just little more than the length of a Piano key (check pictures). Please check out the pictures if you wish to see a closer real life look.